Alcoholism implies the tendency to consume alcohol addictively. Alcoholism is widely considered a disease in the United States. Furthermore, it is a progressive disease. This means it becomes more serious and gets even more addictive with time. Out of the 18 million Americans that abuse alcohol, only about 3 million seek help to overcome alcoholism. The European Union has the highest percentage of alcohol drinkers worldwide. This greatly increases health and socioeconomic burden on member states. Alcohol can affect both the function and structure of the brain, can impair one’s emotions and cause a person to make bad decisions. Signs and symptoms of alcohol include; strong urge to consume alcohol, body becomes tolerant to alcohol (making the body to require more alcohol for the same physical effect), getting angry when alcohol is not available. You could also get physical and health issues due to excessive consumption of alcohol. 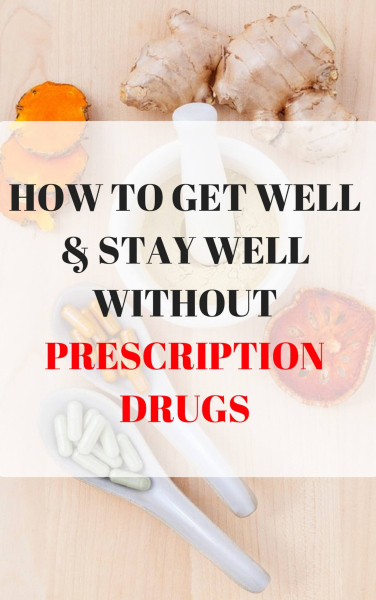 These issues include; bone loss, neurological issues, heart problems, diabetes complications, eye problems, liver disease, weakened immune system, increased risk of cancer, and digestive issues. Alcoholism could also lead to social issues such as separation from family members, divorce, loss of job, domestic violence, suicide, and property damage. 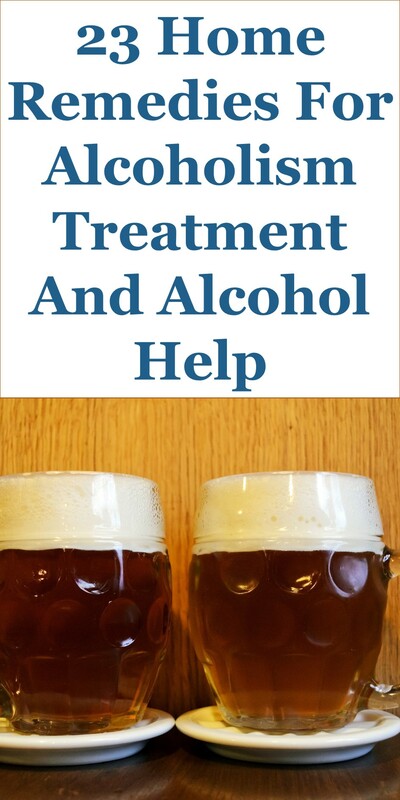 It is difficult for an alcoholic to overcome his challenge without help. Family support and professional help would go a long way in helping overcome alcoholism. Furthermore, dietary changes, lifestyle changes, social adjustments and home remedies can help a person overcome alcoholism and stay sober. Take kudzu extract (30% to 40%) daily. Kudzu is rich in isoflavone compounds that help reduce hangovers and cravings related to alcohol. A 2013 study, by the journal Psychopharmacology (Berl), concluded that there was a reduction in alcohol consumption in young nontreatment-seeking heavy drinkers when a standardized formulation of kudzu extract was administered. Diet plays a crucial role in an alcoholic’s recovery in remaining sober and reducing the negative effects of alcohol. Alcohol consumption reduces appetite and the body’s ability to assimilate nutrients from foods. That is why most alcoholics have a number of nutritional deficiencies. The body needs proteins, vitamins and minerals to overcome the negative effects of alcohol on the body. Eat foods rich in vitamin A and vitamin E to improve liver functioning. Eat foods rich in thiamine to improve brain functioning. Eat food rich in protein to improve pancreas functions. Avoid nicotine, sugar, and caffeine which could increase your urge to consume alcohol. Also, consume fresh fruits and vegetables to have a healthy blood sugar level as low sugar levels increase your urge to drink alcohol. Drink dandelion tea. Dandelion is very effective in alcohol withdrawal. It also helps to diminish the negative effects of alcohol on the body. Dandelion helps reinvigorate the liver by reducing harmful oxidation of the liver as well as improving bile production and stimulating its flow. Dandelion also protects against alcohol-induced toxicity in the liver by elevating antioxidative potentials and decreasing lipid peroxidation. Make bitter gourd juice from its leaves and drink. You can add buttermilk to improve taste. Alternatively, you could add bitter gourd to your diet. Drink celery juice daily. You could also add celery to your meals. Celery helps in attenuating the negative effects of alcohol on the body by helping to cleanse and detoxify the body. Celery is also rich in antioxidants that help in the overall body well being. Eat dates with water. Dates help to cleanse and detoxify the liver from toxins that would have accumulated due to long use of alcohol. Dates also help to provide nutrients for the body and reduce alcohol cravings. Yoga and meditation are also effective in overcoming alcoholism. Yoga helps in body-mind balancing as well as in improving physical strength. Yoga is also helpful when dealing with emotional and stressful circumstances. Meditation is also effective because it helps in relaxing as well as focusing your entire well being. A 2013 narrative review on yoga, meditation and mindfulness concluded that mindfulness-based interventions, some of which include yoga, have sound conceptual underpinnings and growing empirical support for enhancing addiction treatment, prevention, and recovery. You might find a Mindfulness-Oriented Recovery Enhancement (MORE) program or a Mindfulness-Based Relapse Prevention (MBRP) program to be effective programs for you. Make it clear to your family and friends that you want to stop drinking. Furthermore, avoid socializing with friends and family that drink a lot. Spend time in activities that help distract your mind from drinking. For example, you can start a new healthy hobby, you can spend time with your children, you can listen to good uplifting music, you can get a pet. Drink ginger root tea. Alternatively, you could add ginger, as a spice, to your diet. Ginger would help treat nausea and vomiting. It would also help in preventing anxiety that could come from your alcohol withdrawal. Add extra-virgin coconut oil to your foods or take a couple of teaspoons daily. Alcohol consumption causes oxidative stress and inflammation leading to insulin resistance. Without insulin, the brain cells can not absorb glucose effectively. Coconut oil has rich antioxidant and saturated fatty acid properties that nourish and heal the brain and relieve dry drunk syndrome. Also, coconut is believed to help kill yeast in the body which indirectly helps reduce sugar and alcohol cravings because yeast feeds on sugar. Eat an apple or drink fresh apple juice. Apple helps to detox and cleanse the body as well as reduce alcohol cravings. Eat banana intermittently. Banana helps replenish the body’s potassium levels which may have been depleted due to alcoholism. An optimal potassium level is needed for nerve impulse transmissions. Do exercises such as swimming, biking, running, walking, or aerobics. Physical exercise would help reduce effects of alcoholism in the long term. Furthermore, exercise helps to reduce stress, improve your mood, helps you sleep well, reduces cravings and fight depressions. A 2016 study showed that physical exercise has a dual advantage for alcoholics. Firstly, it may help attenuate the negative effects of alcohol on health. Find a trained acupuncture practitioner to do acupuncture for you. Some recovering alcoholics have found acupuncture to help overcome their addiction, reduce their cravings and help prevent relapse. A 2016 study was done to show the effectiveness of acupuncture on alcohol craving and withdrawal. Furthermore, acupuncture helps to reduce depression and anxiety, which are the two main reasons behind excessive drinking. Drink Milk Thistle tea. Milk thistle is a potent home remedy for rejuvenating livers that have been damaged by alcohol. Milk thistle is a liver tonic herb that repairs and enhances liver functions. Furthermore, silymarin, in milk thistle helps repair liver damage caused by numerous toxins and diseases. Take ginseng tea. Both Korean (Asian) ginseng and American (Panax) ginseng are extremely potent in treating alcoholism and alcohol hangover symptoms. Ginseng is capable of breaking down alcohol in the body and flushing out the toxins. Ginseng also helps reduce the rate of alcohol absorption into the body. Furthermore, ginseng reduces anxiety-like behavior that could occur during alcohol withdrawal. Drink evening primrose tea or add its oil to your meals. The essential gamma-linolenic acid, in evening primrose oil, helps reduce alcohol cravings. This makes this herb a potent home remedy for alcohol treatment. Take Ibogaine (Tabernanthe iboga H. Bn.) extracts. Ibogaine has seen a recent surge in research as an effective treatment for alcoholism. This is because ibogaine helps reduce alcohol cravings and it also curtails alcohol withdrawal symptoms. Drink St. John’s wort tea or take its extracts. Hypericin, in St. John’s wort (Hypericum perforatum L.), is effective in fighting alcoholism. A 1998 experimental study showed that this wildflower helped to reduce alcohol preference and consumption among tested rodents. Avoid smoking. Between 80% to 90% of alcoholics smoke cigarettes. Smoking tends to make you feel dry and patch. This increases your alcohol cravings. Furthermore, the combination of smoking and alcohol can greatly accelerate your body degeneration. For example, the approximate relative risk for developing mouth and throat cancer is 38 times greater for those who use both tobacco and alcohol. Drink plenty of water. Alcohol is well known to cause dehydration. Thus, you would need to replenish body fluid especially in the initial stages of your recovery.